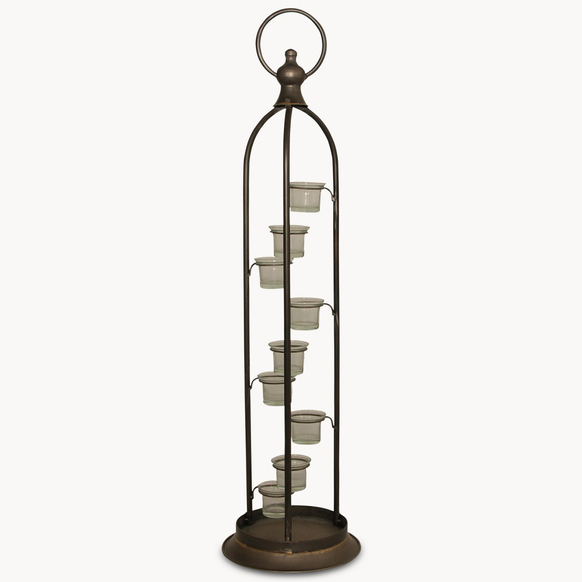 A clever lantern holding 9 tea lights providing subtle ambient lighting. Tall and Sleek so doesn’t take up much space. Would look equally stunning with two – one at either end of a console or table. Product Code: 17411. Categories: Living, Home Accessories, Lanterns, Hurricanes, Candles, Dining, Home Accessories, Lanterns, Hurricanes, Candles, Bedroom, Home Accessories, Lanterns, Hurricanes and Candles, Outdoor Living, Lanterns / Hurricanes, Accessories, Home Accessories, Lanterns, Hurricanes and Candles, Lanterns / Hurricanes.